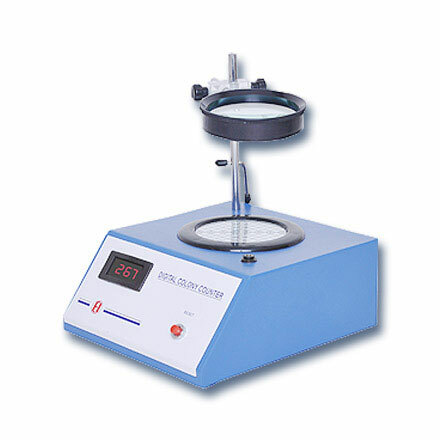 Colony Counter | products Categories | Electronics India - Manufacturer, Supplier and Exporter of Analytical, Scientific Laboratory and Pharmaceautical Instruments in India. 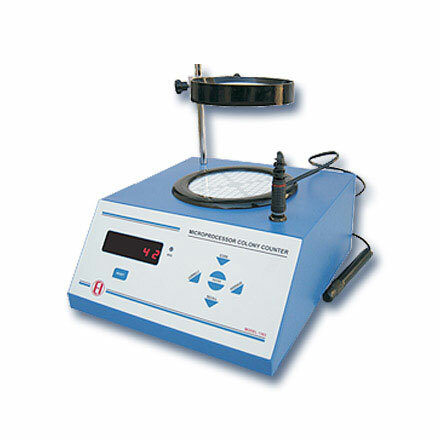 Electronics India is one of the most preeminent Colony Counter manufacturer, supplier and exporter from India. We offer both Microprocessor Based Colony Counters and Digital Colony Counters for different user needs. The Microprocessor Based Colony Counters come with in-build storage of samples, Auto averaging facility and count correction facility. Company’s colony counters are designed for quick and accurate counting of bacterial and mould colonies in petri dishes. Feature packed & easy to use, this is an indispensable bench top tool for the busy microbiologist. Electronics India is also counted among the leading manufacturer and supplier of other electrochemistry instruments like pH Meters, Conductivity Meters, TDS Meters, Dissolved Oxygen Meter, Turbidity Meters, Nephelometers etc. from India.